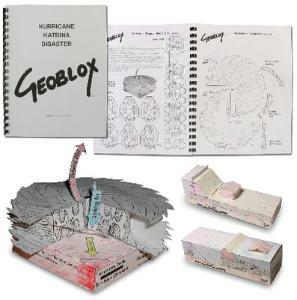 An event in recent memory for your earth science students, Hurricane Katrina can teach a great deal about disaster planning, severe storms, and environmental effects. This set of 19 model patterns examines many aspects of the New Orleans flooding, including Meandering Stream, Natural Levees and Floodplain Deposition, Barrier Islands, Delta Deposition and Distributary Shifting, Subsidence Due to Natural Tectonic Activity, Artificial Levees Disrupt Deposition, Mississippi River Gulf Outlet, Wetlands Before and After Spoil Banks, Oil Production Destroys Wetlands, Subsidence Due to Oil Production, Hurricane Development, Convection Cells, Storm Surge, High Tide, Levee Failure, and more. Each model features a printed description. All patterns are provided in a comb-bound book, so you can easily and repeatedly copy each and distribute to students for building their own individual models.